Various rafting options are available from Rs. 250/- to Rs. 1200/-. Guests can choose-and-pay as per their liking. Book for your Family & Friends [upto 24 persons] for 3 Days / 2 Nights and Camp AquaForest shall appear more like your own private estate during your stay. 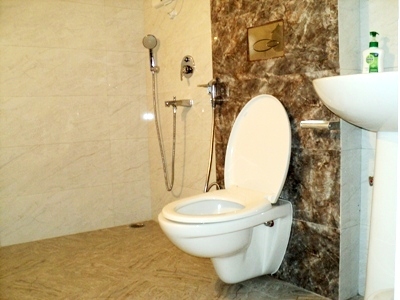 Stay in luxury six AC Swiss tents with attached, modern washrooms [pic given below] and three economy tents. The road connecting Rishikesh City and the Camp is closed between 8 pm and 6 am. Guests are advised to plan their travel accordingly. Being located in an eco-sensitive area - buffer zone of Rajaji National Park, we do not play loud music. The joy of camping is in outdoors. Room Service is not available and guests are requested not to embarass us by insisting on Room Service or taking served meals to the tents. 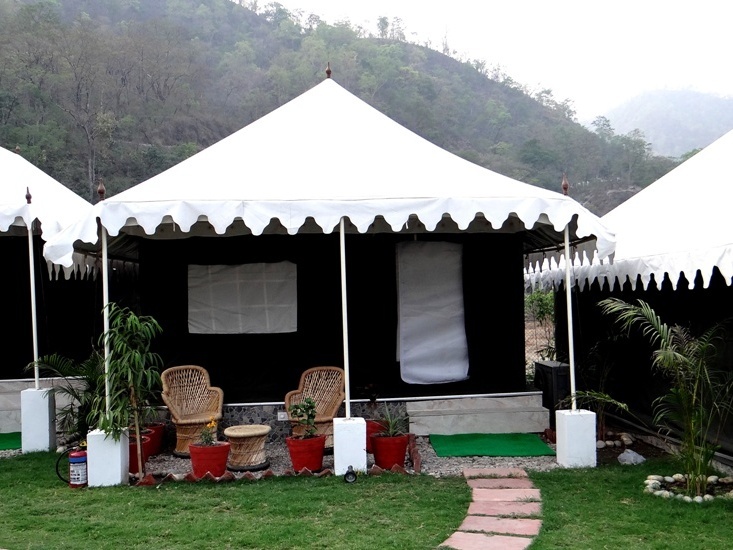 There is a soft trek of 400 metres from the nearest roadhead / roadside parking upto the Camp. Guests are requested to wear suitable shoes and also travel light on luggage. You are requested to fairly assess your physical disposition before making the reservations. Camping is not suggested for expecting women, families with infants and those having difficulty in walking moderate distances. Guests need to submit a valid photo-ID proof. Foreign Nationals must carry their Passport for Check-In. Reservation shall be confirmed on full advance payment. Tastefully furnished apartment with Kitchen, Refrigerator, Microwave Oven, Gas Cooktop, Utensils, Washing Machine, Linen and Blankets. 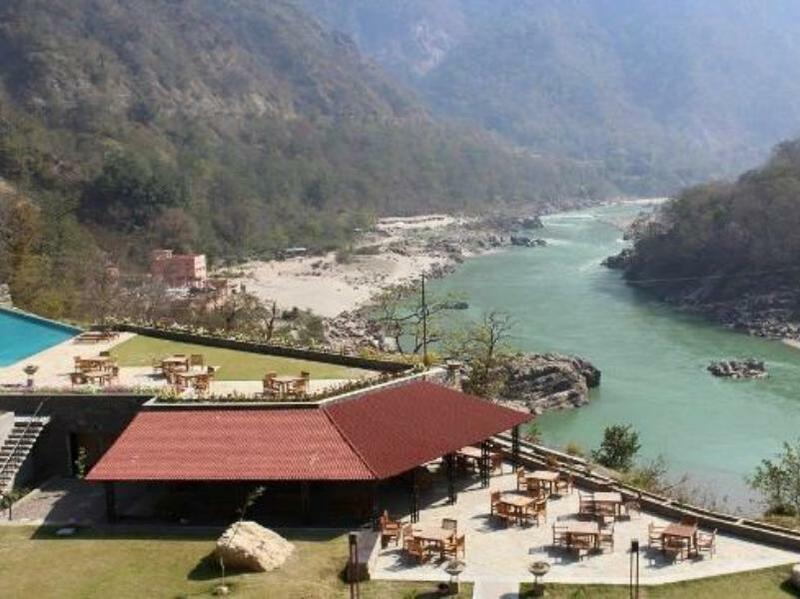 The apartments are located within the resort premises of Aloha On The Ganges - located at two minutes drive from Laxman Jhula - Tapovan market. 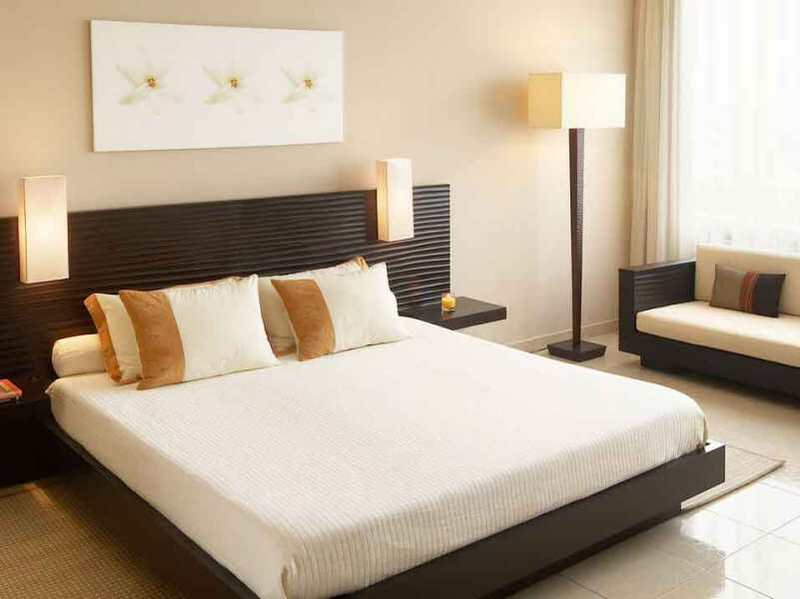 Amenities include Parking, Spa, Pool, Travel Desk and recreational facilities (some on chargeable basis). A fully functional restaurant in the resort premises serves Buffet meals. Tariff : Rs. 2000/- per day - Minimum booking for 30 days. 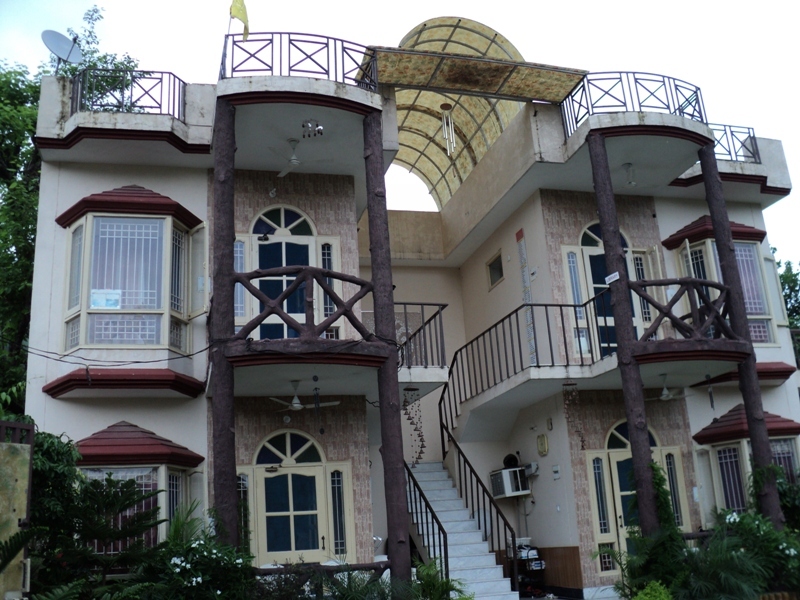 Ideal for long duration visitors in Spiritual quest or pursuing various courses like Yoga etc. 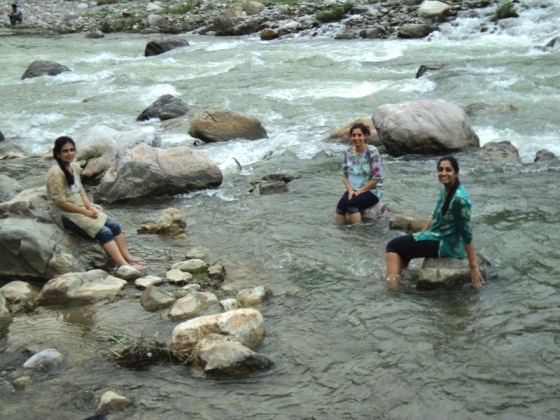 in Rishikesh. 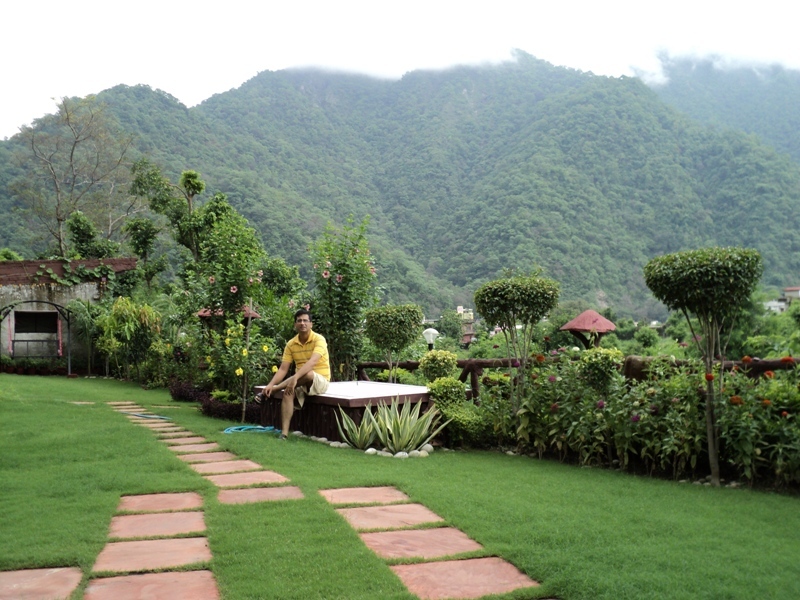 The accommodation is located in a serene home with manicured lawns and abundant natural beauty all around. The home is at a walkable distance from famed Laxman Jhula. The guests can avail access to a large collection of books in the Library of the premises. Home made food also offered on payment basis. Tariff : Rs. 700/- per day - Minimum booking for 15 days.